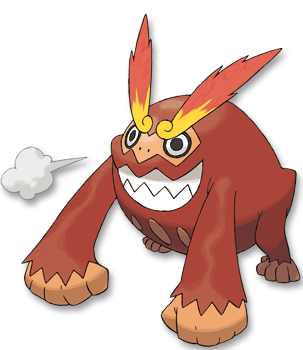 Sheer Force This Pok�mon's moves with extra effects have 1.3x� their power, but their effect chances are reduced to 0. Black Its internal fire burns at 2,500� F, making enough power that it can destroy a dump truck with one punch. White When weakened in battle, it transforms into a stone statue. Then it sharpens its mind and fights on mentally.